﻿ Book Aqua Wellness Resort (El Gigante) - 2019 PRICES FROM $122! Situated on a private white sand beach, Aqua Wellness Resort offers stylish accommodation set in the rainforest canopy. 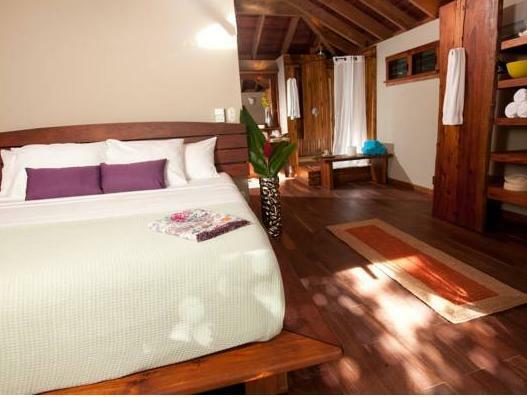 Guests enjoy free daily yoga classes and free use of kayaks and snorkelling gear. Each charming air-conditioned room includes free WiFi access, a coffee machine, a private bathroom and handmade furniture made from sustainable hardwood. 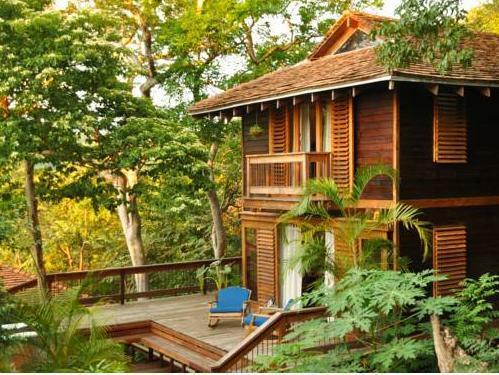 All rooms have access to a sun deck surrounded by tropical vegetation. Aqua Wellness Resort offers spa treatments, including relaxing massages and stimulating body scrubs. 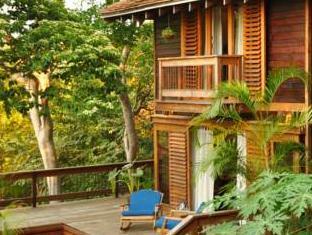 There is also a large yoga deck with stunning views of the rainforest and Pacific Ocean. The Onda restaurant serves healthy Nicaraguan and American cuisine, using locally sourced meat, vegetables and exotic fruits. You can also find several restaurants within a 20-minute stroll. Aqua Wellness Resort is a 45-minute drive from San Juan del Sur, while Managua is a 2-hour drive away. San Jorge, on the shore of Lake Nicaragua, is 33 km away and offers ferries to Ometepe Island. Futons not guaranteed in all Luxury Suites. Queen beds in studio tree house units subject to availability.